If you are looking for a top hair salon that offers hair and beauty services around the Howell or Toms River area of New Jersey, your search has come to an end. At Aurelio Salon our stylists spend years in education and honing their skills to be the best in the industry. Based on their reputation, experience and demand our stylists are placed into “Elements”. Long hair, thickness, and texture may increase the cost of the service. Aurelio Salon offers hair design and stylizing services to women and men. Our hairdressers, besides doing haircuts, are also trained in straighteners, extensions, perms, relaxers, and more. 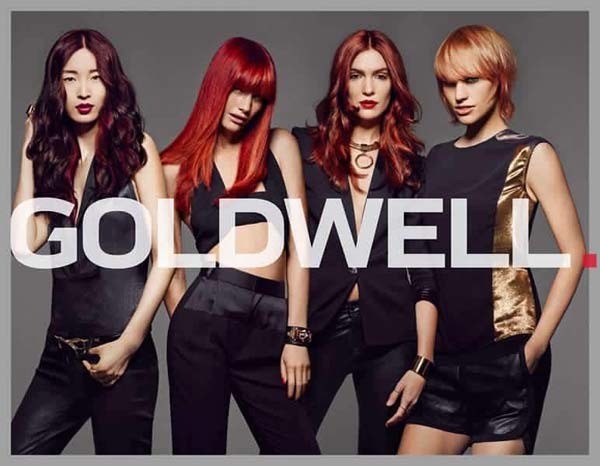 We use Goldwell, KMS products, Deva Curl and Paul Mitchell. Our team is in trained in the latest techniques and fashions. By looking at the menu of services below you can see all that we offer. Sit back and enjoy our lather lounge where we offer a number of different hair conditioning treatments and personalize your shampoo experience that is like no other. Aurelio Salon and Spa also offers hair coloring services for women and coloring services for men at both of our hair salons. We can easly be found on Route 9 in both Howell and Toms River New Jersey. Our hairdressers have been trained by local and national Goldwell, Kms and Paul Mitchell trainers to be the best in the industry. Besides offering hair services, we also offer full or partial body waxing and hair removal services to men and women. Aurelio Salon uses NuFree products which were developed over 25 years ago to help plastic surgeons remove hair from a patient before surgery. Do you have a prom or to get ready for where you need makeup services? Our makeup artists are trained for applications, lessons, lash extensions, tinting, and more. Aurelio Salon in New Jersey gets you ready for any special occasion you have to go to. Our hair salon also offer services specifically for brides and bridal parties for that special day. We we can travel to you, make special arrangements to block out the salon, or open it up early to meet your needs. Our bridal team specializes in wedding hair updos, bridal hairstyles, bridal makeup, hair jewelry, and event hairstyles. Just give us a call and our wedding consultants can help you with any questions you have. Learn more about giving the gift of health and beauty with one of our gift cards available in any denomination. Call Aurelio Salon in Howell New Jersey at 732-303-0052 to learn more about the hair and beauty services we offer at our hair salons. *All prices are starting prices and may vary based on length and thickness of hair.